Wonderful location – wonderful food! This is actually what would be enough to describe the restaurant Belvedere. 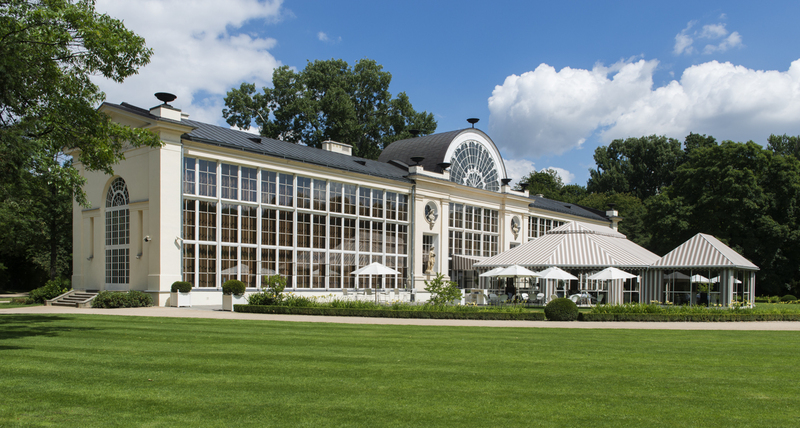 The restaurant’s home is the new orangery in the Royal Lazienki Park in the middle of Warsaw. Almost everywhere you can find chicken on a menu at a café, fast food place or any restaurant. Except it is an extraordinary location or perhaps Michelin Star restaurant the typical selection of chicken contains breast, filet and sometimes chicken wings. In Europe usually only Asians offer some different chicken dishes which could include meat of other parts of this ratite. Moscow is rich of interesting and good restaurants. I don’t know the reason why there isn’t any Michelin Star restaurant in Moscow. Sometimes I think this could have political reasons as there are very talented, creative and excellent chefs. I would say that there isn’t any other town in the world in which you find so many different, exclusively fascinating furnished, distinctly designed and decorated restaurants. 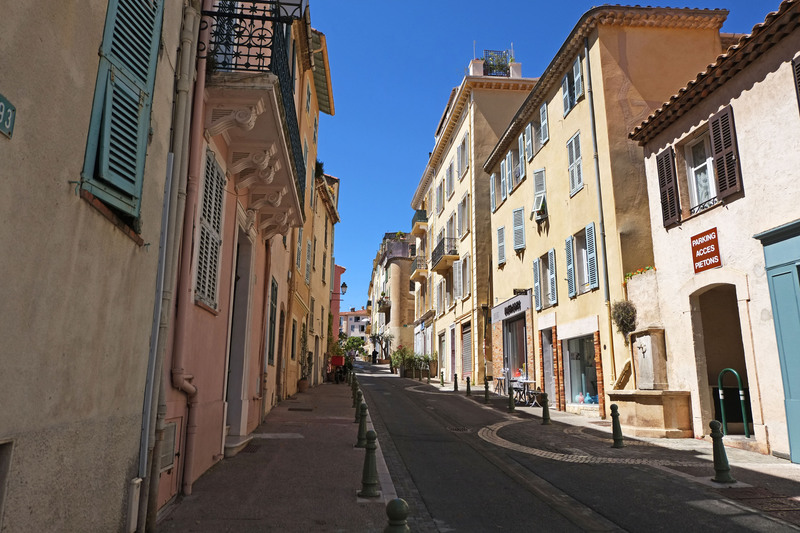 Although it will remain a miracle to me how someone can buy a real estate in this sprawl urban area of too much cement and too less green called Le Cannet I admit it it has a nice little old town center where you find another interesting and friendly restaurant close to Cannes called Bistrot Saint Sauveur. Just a quick dinner at Brasserie Warszwaska tonight in Warsaw. This little restaurant in the style of a French Bistro – quite often awarded and multiple recommended by different professional associations as Michelin – seems to be a place rather for lunch than dinner. It is Monday and similar to many other places this is not the busiest evening in general. As much as it may look like a French bistro – rather in Los Angeles than in Paris – it is a beautiful, smaller but comfortable and selected place. In reference to my previous report about Hisa Franko – https://avdwineandfood.wordpress.com/2015/04/27/hisa-franko-restaurant-hotel-staro-selo/ – I like to highlight the amazing, impressive and memorable cuisine. Ana Roš is a remarkable chef and it is completely not understandable that she hasn’t got more awards respectively she does not belongs to the circle of cooks which shall have at least one Michelin star considering uninspired food experiences in some French Michelin star restaurants. This is a really beautiful small hotel in Puglia (www.lasommita.it). It is located at the top of the historic center of Ostuni, a very beautiful little town between Brindisi and Bari. Because of its unique location, you find yourself in the middle of a vital old town but at the same time shielded from any noise but also from the southern Italian heat (if you’re there in summer). A small garden surrounded by high old walls offers an oasis of silence which at night acts as the outdoor part of hotel’s restaurant. From the top of the building or from atop some of the walls, you can see the lowlands between Ostuni and the Adriatic Sea. During hot summers there is always a mild and refreshing breeze, while in spring or autumn it gets unexpectedly chilly at times. As many of my friends know, my favorite restaurant in Berlin is WEINBAR RUTZ . There are hundreds of trendy places, a remarkable number of Michelin star restaurants in the city and probably some location with a lot of good wine as well. But there isn’t any other place comparable to this one. It is an easy but unique concept as at the lower level you have rather a food-bar or tavern with slightly more basic but fantastic dishes along the motto “Save the German Food Culture”. You get blood sausages or some liverwurst or rutabaga stew or – at least at the moment “crispy haddock, chestnust, red cabbage and baked kale – but also just a solid “home” aged steak. All this usually is not served with a typical German beer but with the best mostly German (white) wines. You would only very seldom get such high quality wine by the glass anywhere else. This place offers you even sometime a Großes Gewächs (which is similar to a Grand Cru) by the glass and if you become a “friend” of the house, they might open a bottle just for you without letting you buy the entire bottle if you didn’t drink it. If you go for first floor, please ask for the table in front of the kitchen because then you can watch my friend Marco Müller preparing the plates with his amazing and always surprising culinary art and extraordinary taste experience. Here you encounter Chinese or other Asian flavors combined with regional ingredients and condiments. Marco is always spunky enough to present unusual and sometimes, I would say, experimental combinations of taste. As I wrote: Weinbar Rutz is my favorite restaurant in Berlin. This is because of its very special concept of a wine bar and a restaurant. If you ran a real competition between the two very exciting chefs, Micheal Kempf’s style is of course different than Marco Müller’s, but both would deserve two Michelin stars (although only Michael Kempf has two (! )).I really see parallels between the two. Like Marco Müller, Michael Kempf uses mostly regional products but is able to combine those with global and modern flavors. Perhaps Michael isn’t so experimental (any more) and less risky but therefore you are on a safer side with him. His cooking creations are remarkable and just wonderful! I’ve never had a really strange culinary experience there, which I actually have had once a while elsewhere.